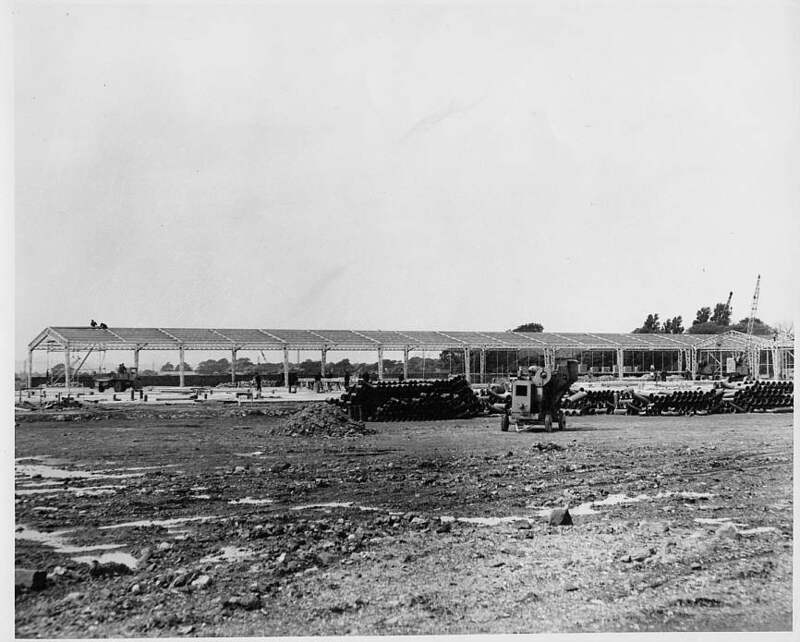 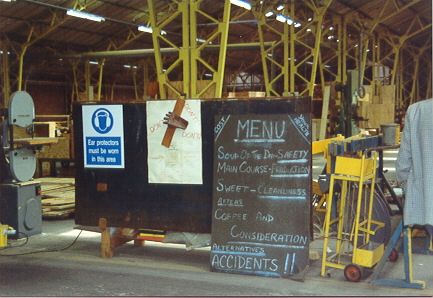 January 1953 saw the start of construction of a huge new warehouse on Site 8. 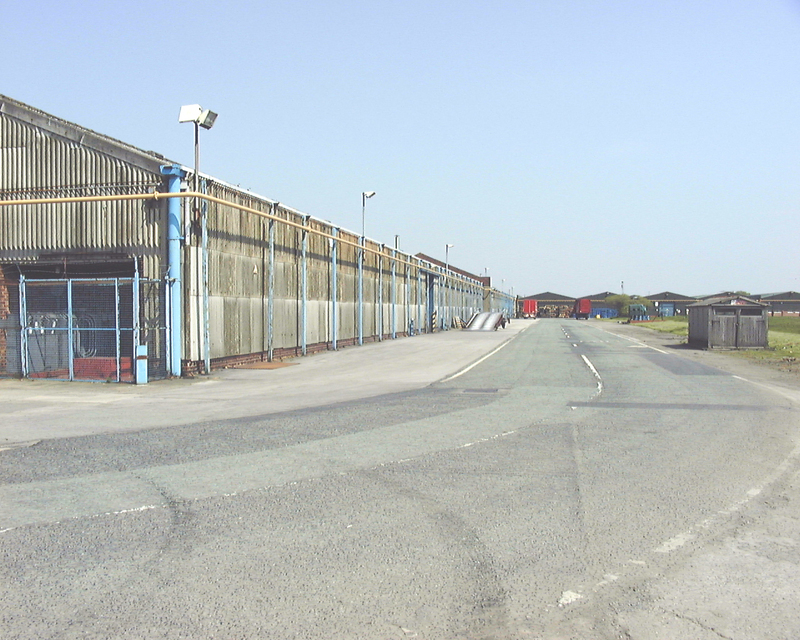 This was located on the West side of Burtonwood Road and immediately north of the Liverpool Manchester railway line. 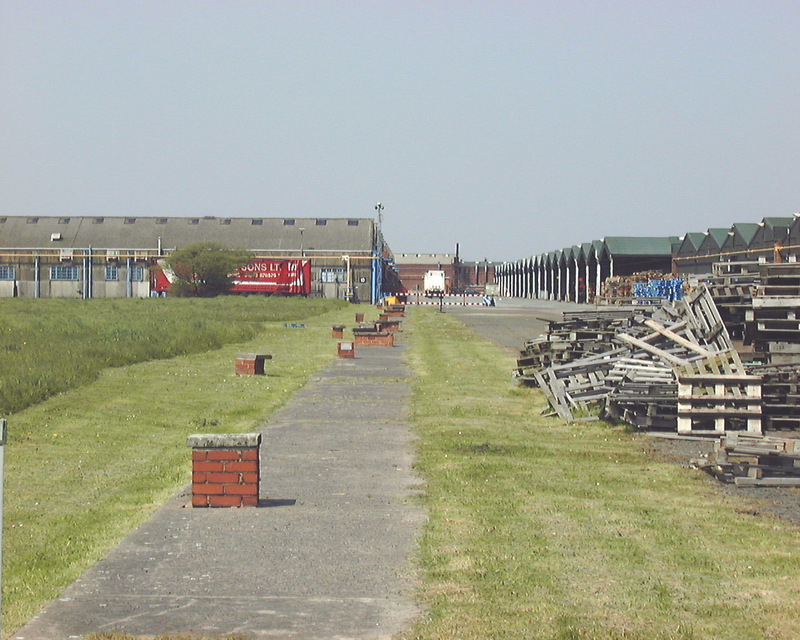 In fact a siding was taken from the line for rail transport. 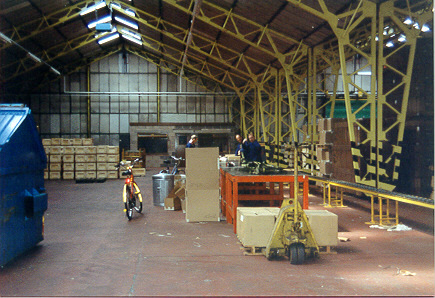 On August 16th 1954 the warehouse was opened and became known as Header House. 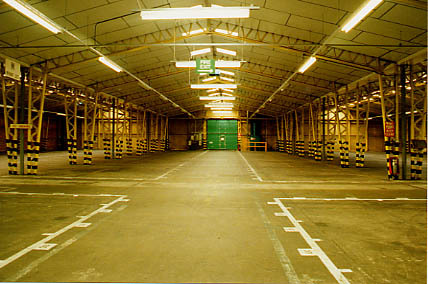 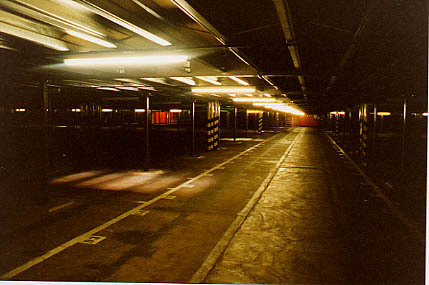 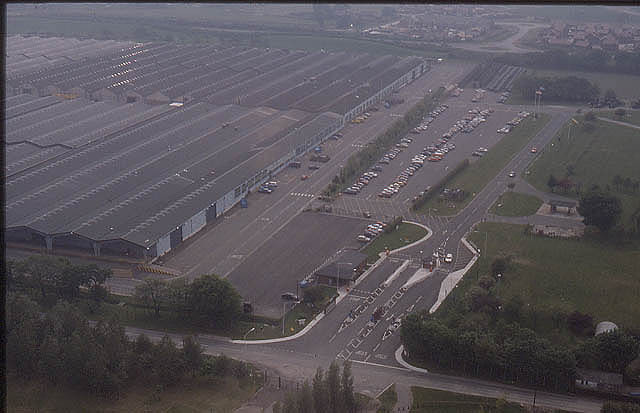 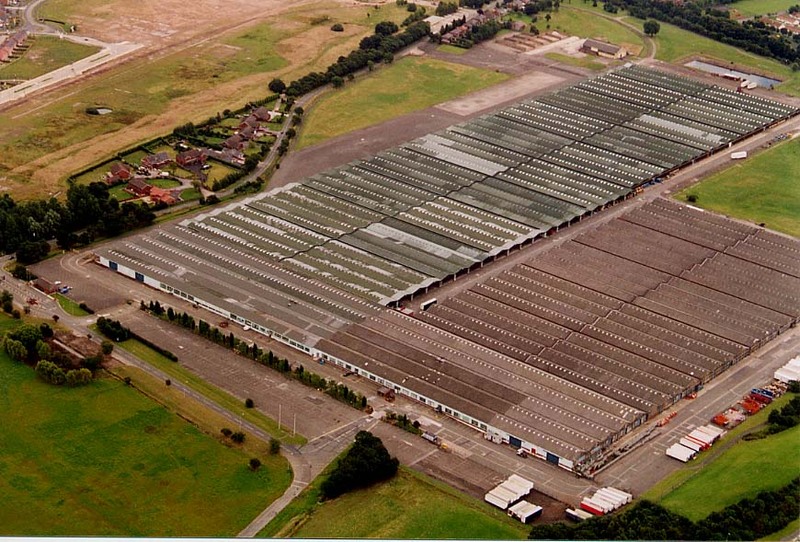 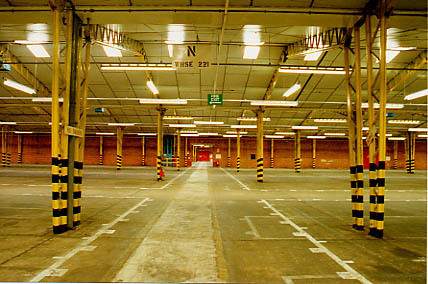 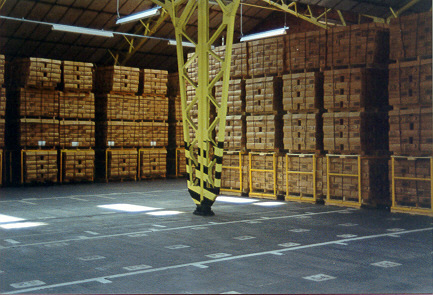 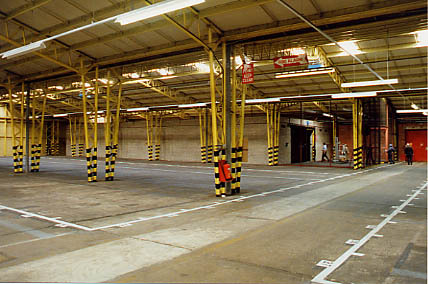 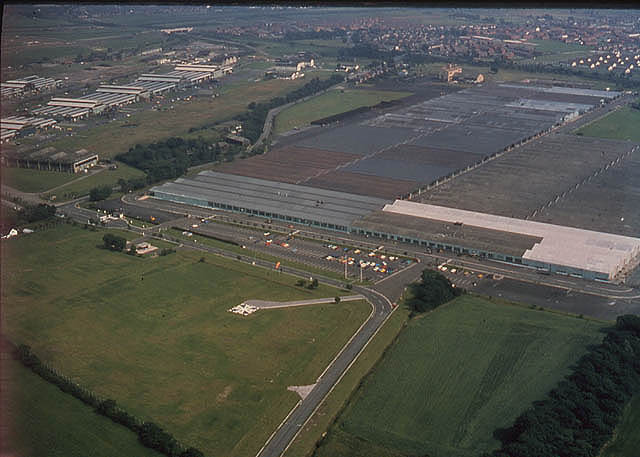 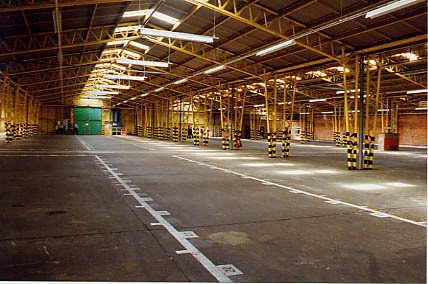 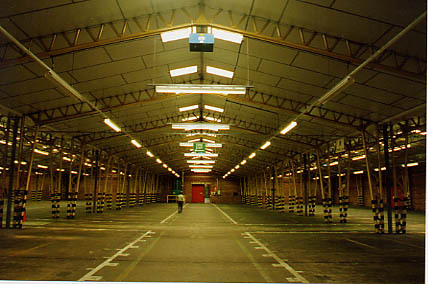 It was the largest covered warehouse in Europe at the time with a length of 5280 feet (one mile!) 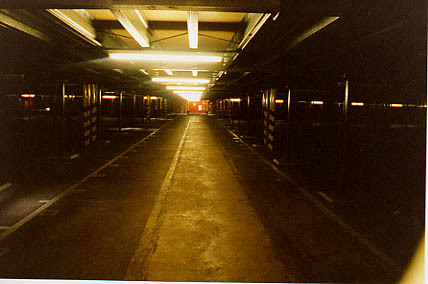 and a width of 1255 feet with a capacity of 5 million cubic feet. 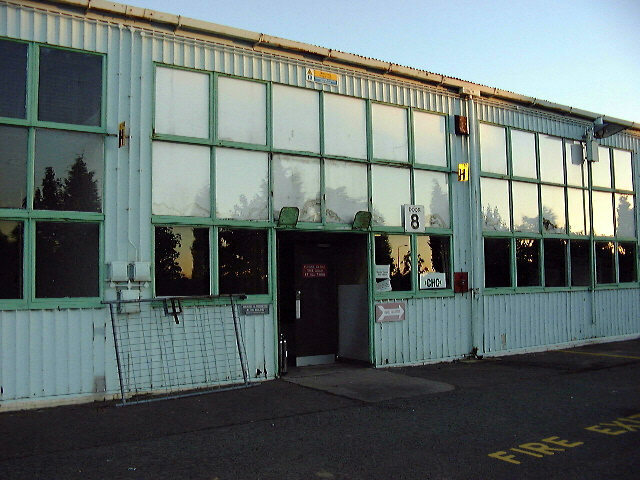 Total building cost $12 million. 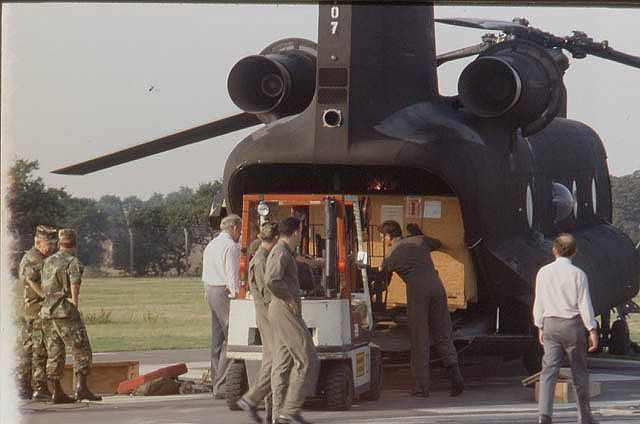 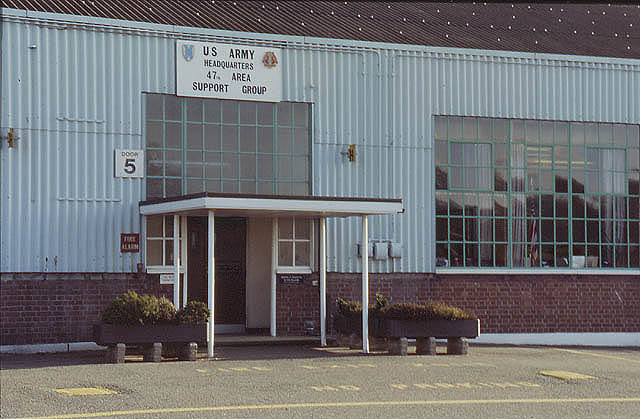 When France quit NATO in 1967 the Americans looked to Burtonwood and Header House to store their military supplies, as the US forces were no longer welcome in France. 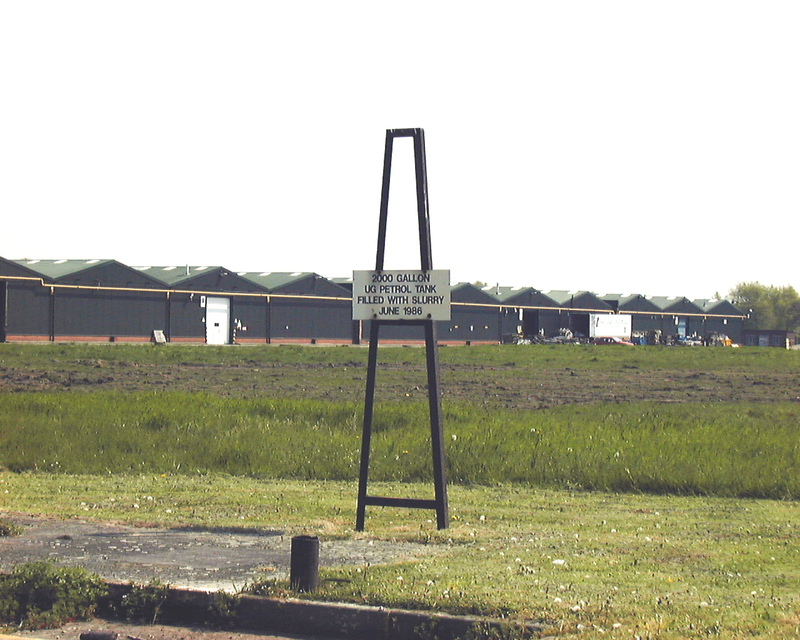 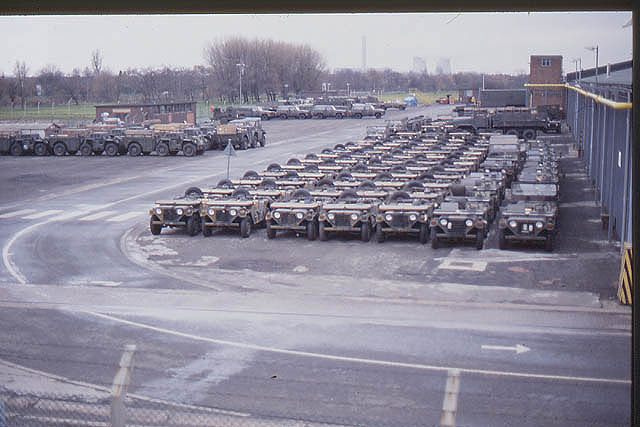 So RAF Burtonwood had a new lease of life when the US Army took control in February 1967. 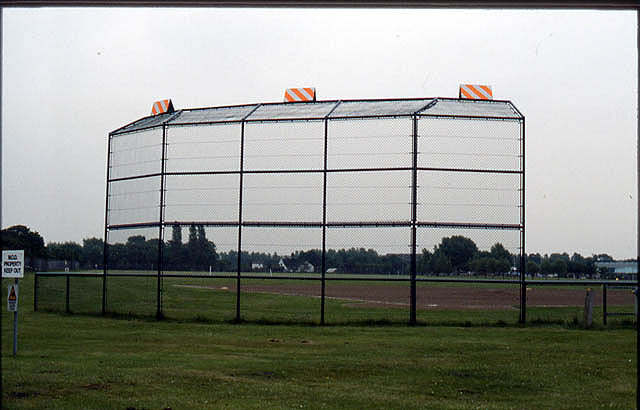 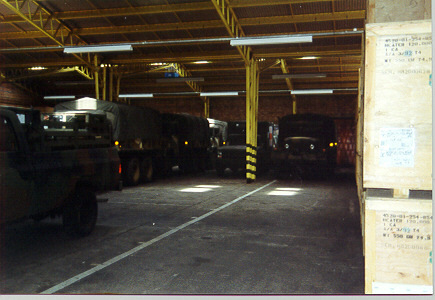 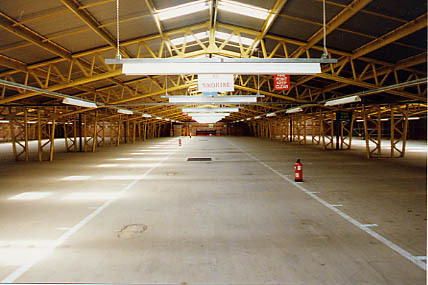 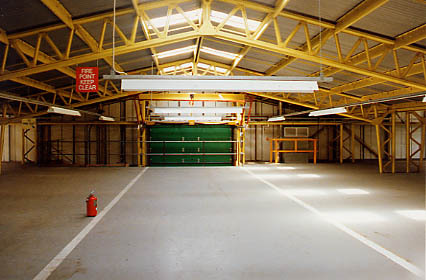 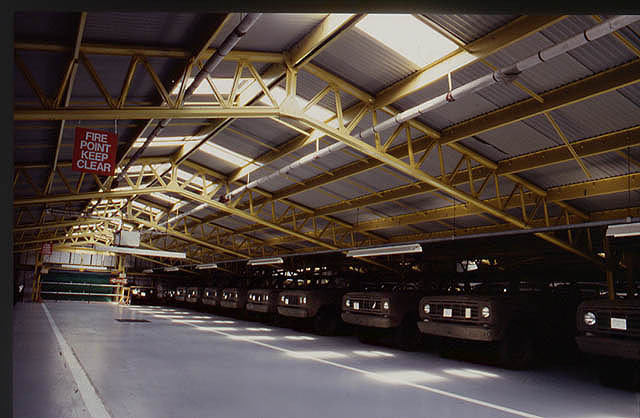 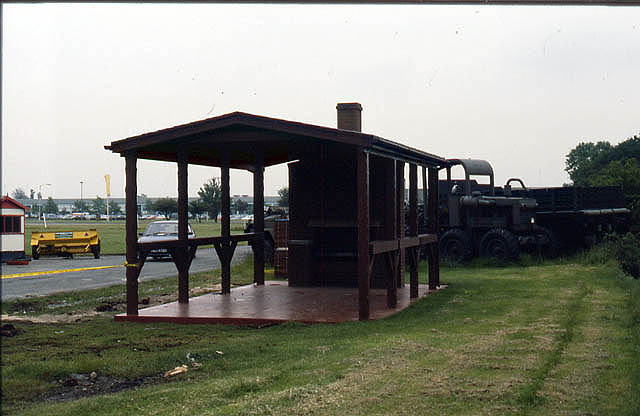 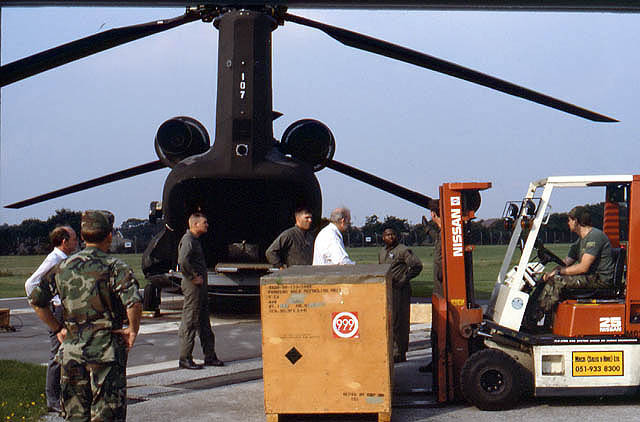 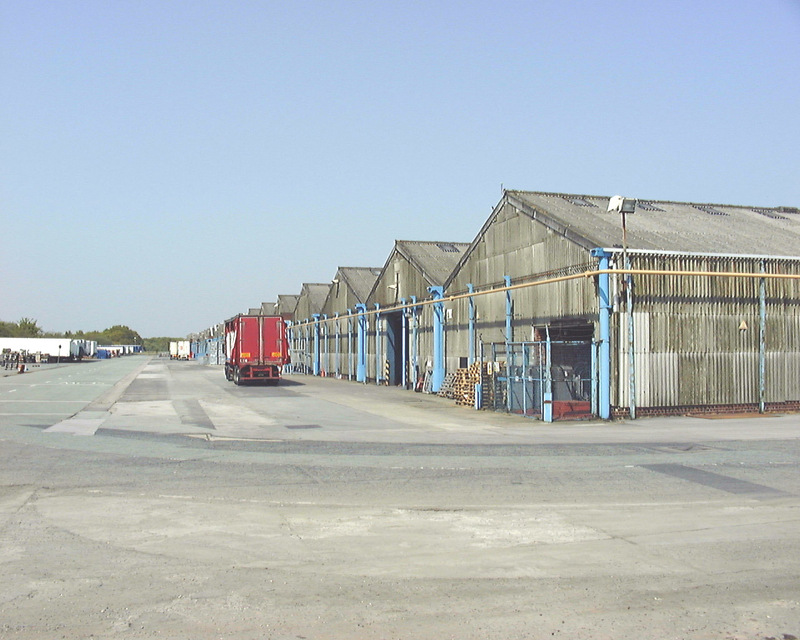 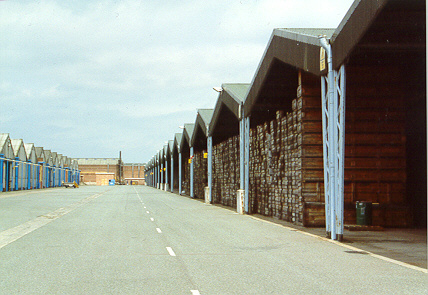 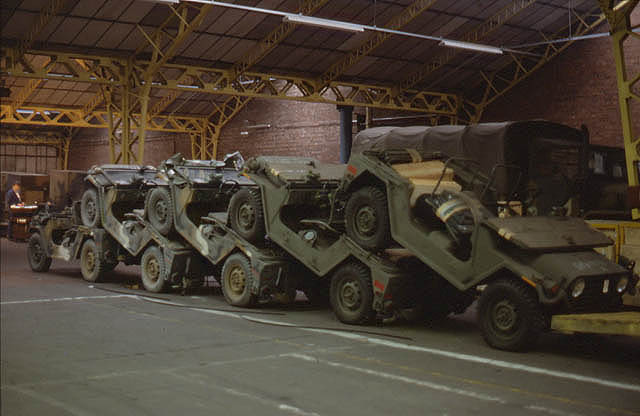 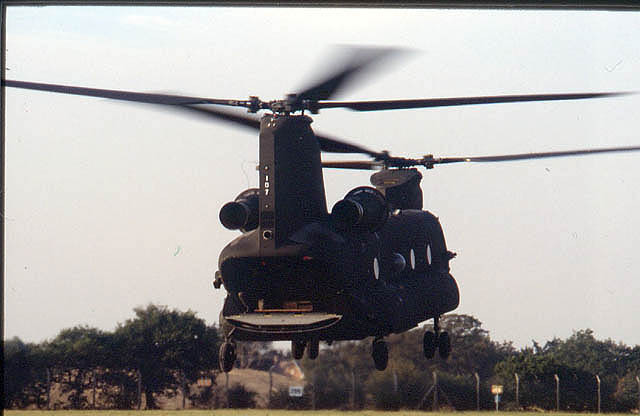 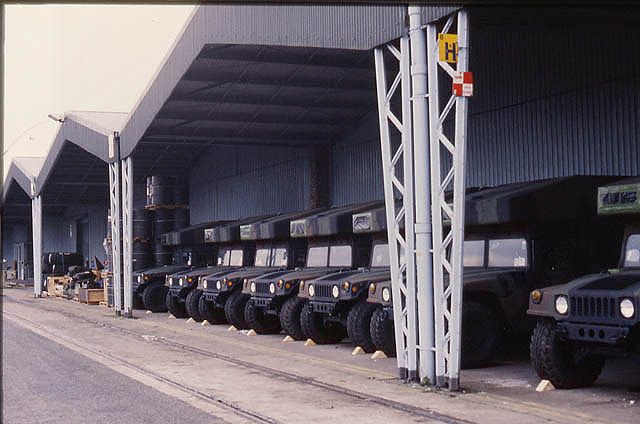 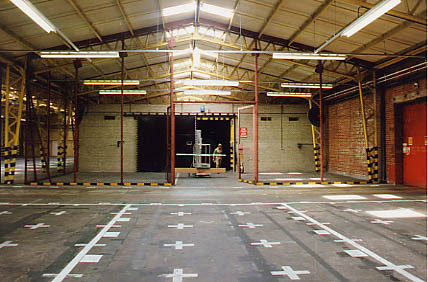 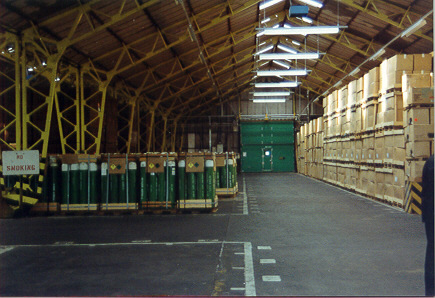 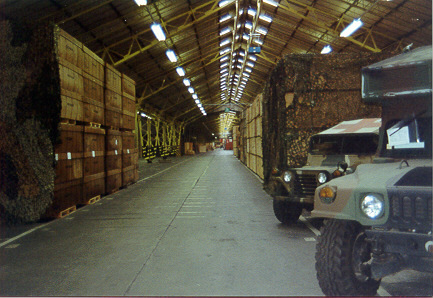 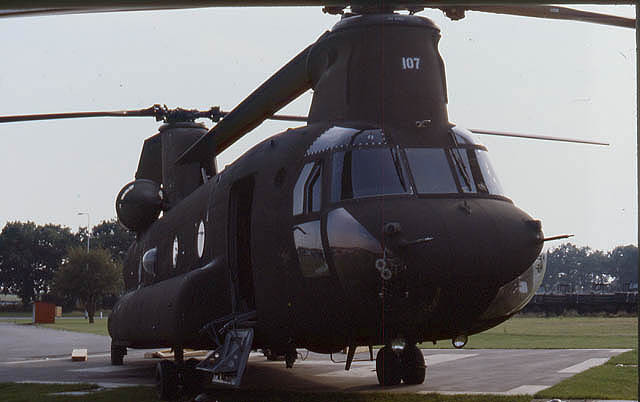 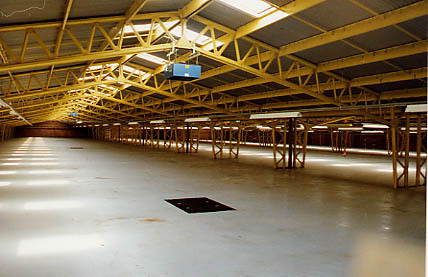 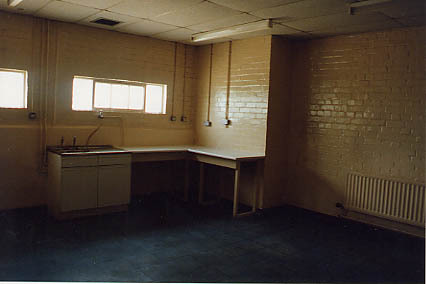 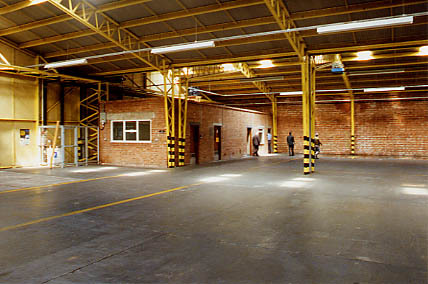 With the ending of the cold war and with a reduction in the US military budget, Header House became surplus to requirements and the US Army pulled out in the summer of 1993. 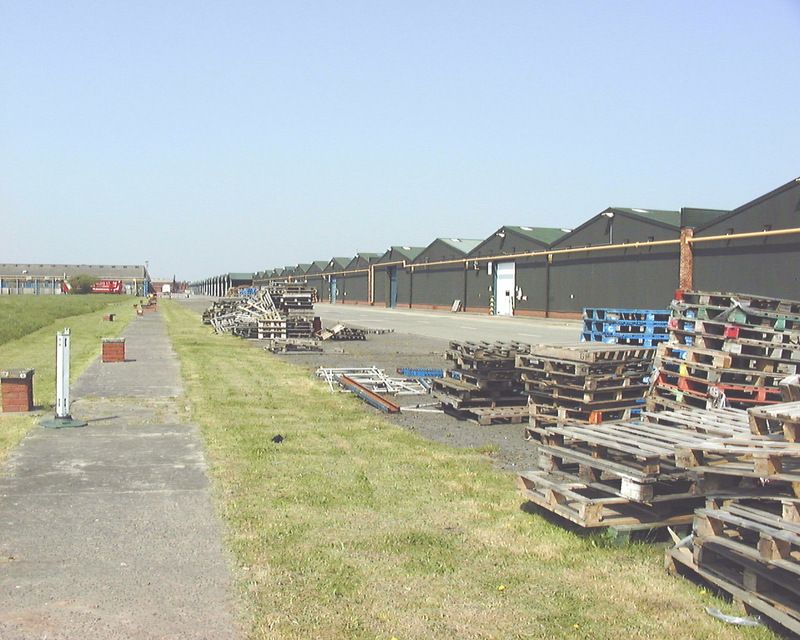 Now in May 2004 the long leg has been completely demolished to make way for redevelopment. 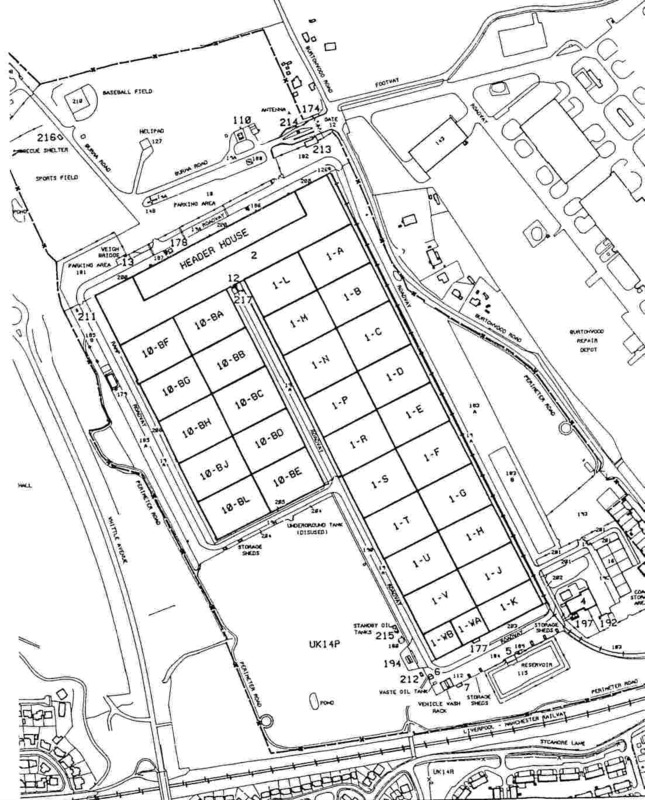 Soon the short leg will follow and the whole site will become Chapelford Urban Village. 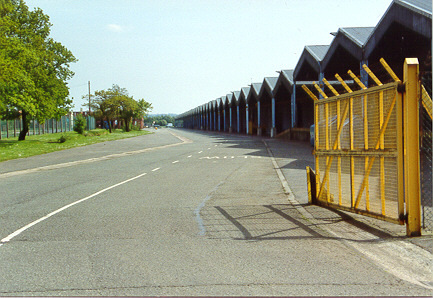 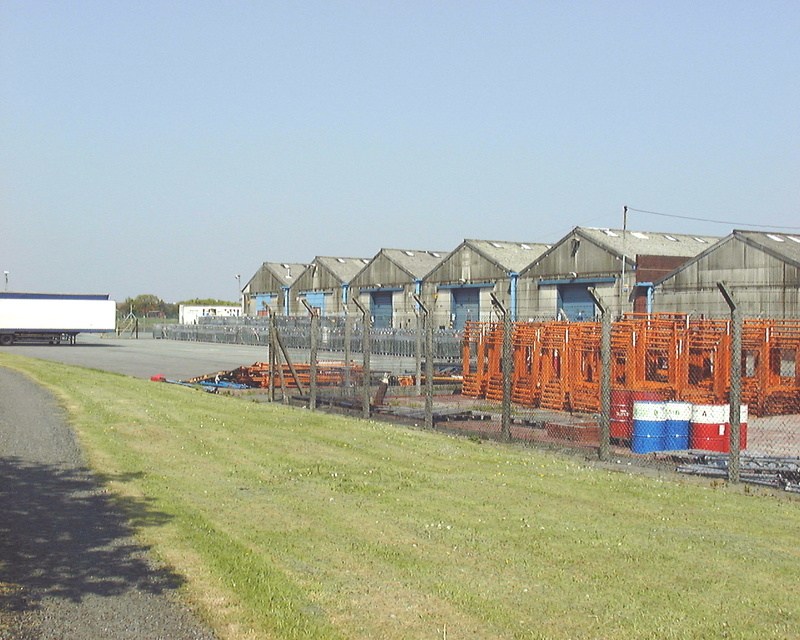 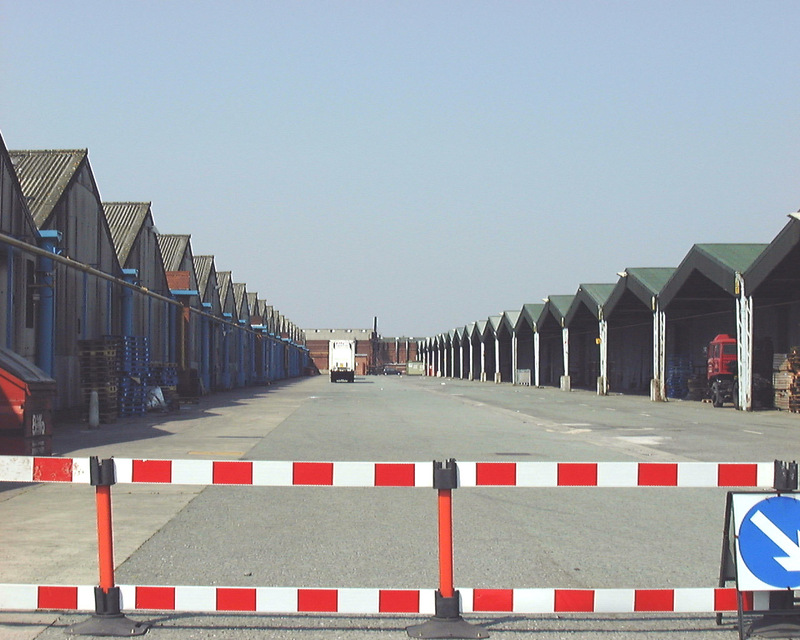 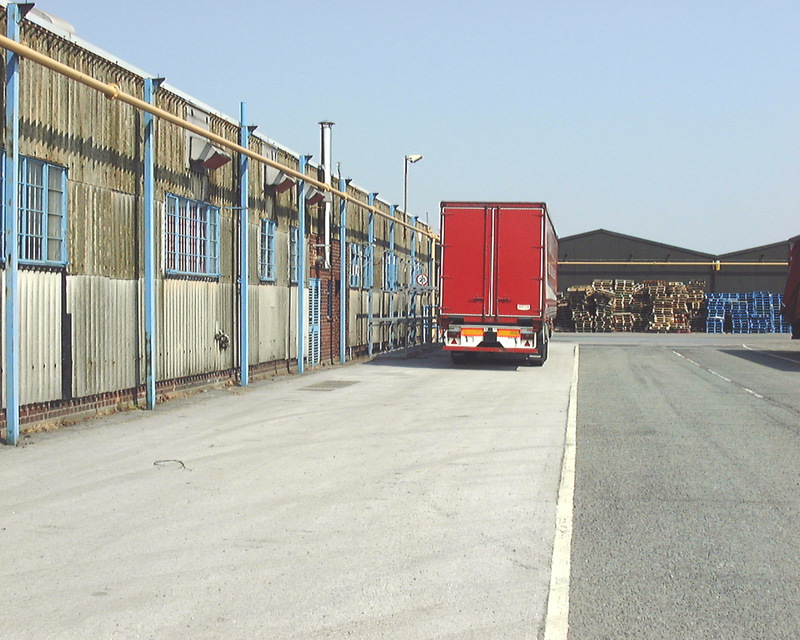 In 2011 Header House and the warehouses have gone, consumed by an urban sprawl. 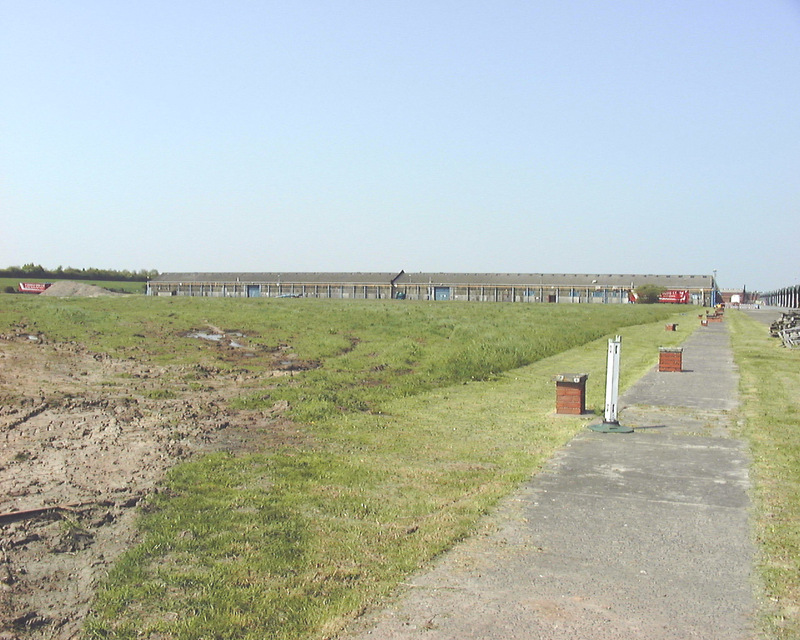 What happened to the slurry?